Back in the 1900s, futurists predicted an incredible boom in technology that would transform human lives for the better. Alexander Graham Bell gave a speech in 1917 claiming that in the future we would be able to do “pretty much anything remotely.” Now in the early-ish 2000s, predictions are ripe for the year 2100+ with transmission through thought with synthetic telepathy, weather control, robotic engineering, a single worldwide currency and Nanorobots flowing through the human body to repair cells and record our memories. (Source: www.bbc.co.uk). Some predictions may sound a little far fetched but it’s likely that was what most thought back in the 20th Century when technology was in it’s infancy and facilities we take for granted today were not even imaginable. As we draw 2018 to a close, we can review a year in the Digital world. Social Media remains an all powerful source for both consumers and businesses. Staying connected and staying in control is priority for many with Smart technology creeping into all aspects of daily life. Finding new and innovative ways to interact with an audience and achieve customer and client satisfaction has been possible with the growth of Marketing Automation and Reporting. Knowing and understanding your target market and what they want has reached new levels with more innovative technology to make better informed Digital Marketing Strategies. With all this development the guidelines are tougher with Google, Facebook and YouTube, to name a few, making sure advertisers stick to the correct procedures to keep digital marketing targeted and relevant for users. What do we foresee for next year? Developments in the Digital Marketing world are constant. There will always be new procedures, new processes, new ideas. At eppiq, our job is to put all that into action to provide the best service possible to our clients. Stay tuned in January 2019 for our predictions for the year ahead. 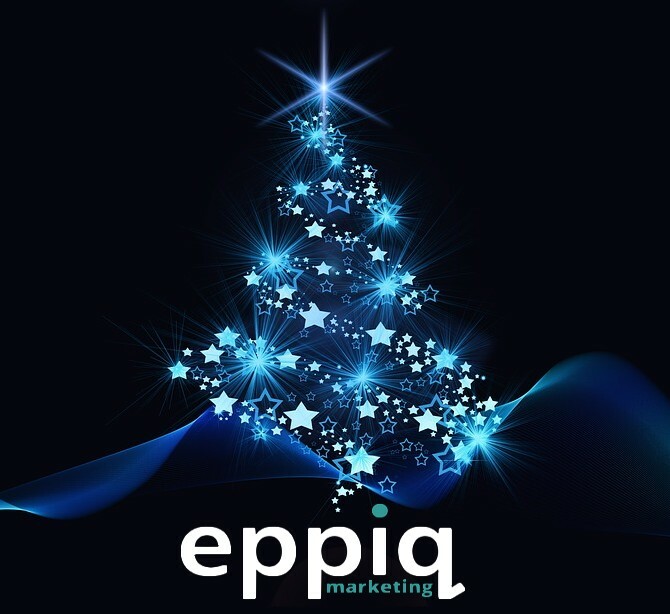 From the team here at eppiq Marketing, have a lovely Christmas and a prosperous New Year.